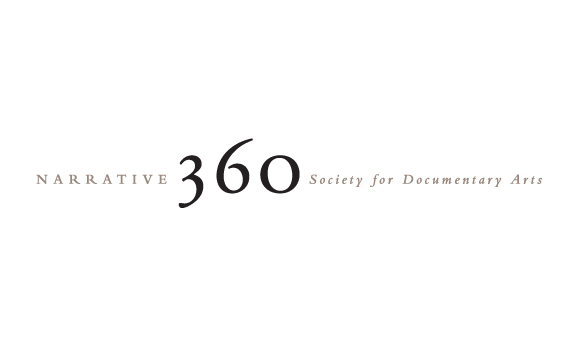 Narrative 360 is a non-profit organization advancing the role of the documentary arts in civil society and supporting their development in the areas of photography, video, audio and literary journalism. The organization is committed to intellectual discourse regarding media representation of societies, cultures and communities, and supports work in the documentary arts as a way of understanding the social and cultural fabric of humanity. Documents & Dreams, is an exhibition by Narrative 360, featuring the projects of 35 established and emerging Canadian photographers. From the work of Lewis Hine and Dorthea Lange to the projects undertaken by the photographers in this show, documentary has demonstrated a unique capacity to engage an audience, share experience, contextualize issues, and stimulate discussion. As such, it plays a significant role in democratic society, providing an agenda and focal point for public debate. In recent decades, space for documentary work within mass media has declined; concurrently, trends in the art world have moved this genre to the margins. Narrative 360 is convinced of the importance of documentary work for the well being of civil society, and is committed to fostering opportunities for documentary artists to pursue personally motivated projects and bring these to the public. Documents & Dreams, their inaugural exhibition, gives evidence on the vitality and enduring relevance of contemporary photo documentary in Canada. Narrative 360′s moving exhibit entitled Kites, Guns & Dreams is an impression of Afghanistan by four Canadian photojournalists: Roger LeMoyne, Lana Slezic, Robert Semeniuk and Christopher Grabowski. The photographs in this show diverge from the sketchy accounts of the news clips to which we are exposed daily. They seem to shrink the geographic and cultural distance between Canada and Afghanistan, between us and them. In the midst of the heart-breaking devastation of their beautiful land, the grace and kindness as well as the resilience and ferocity of the Afghan people is clearly rendered. 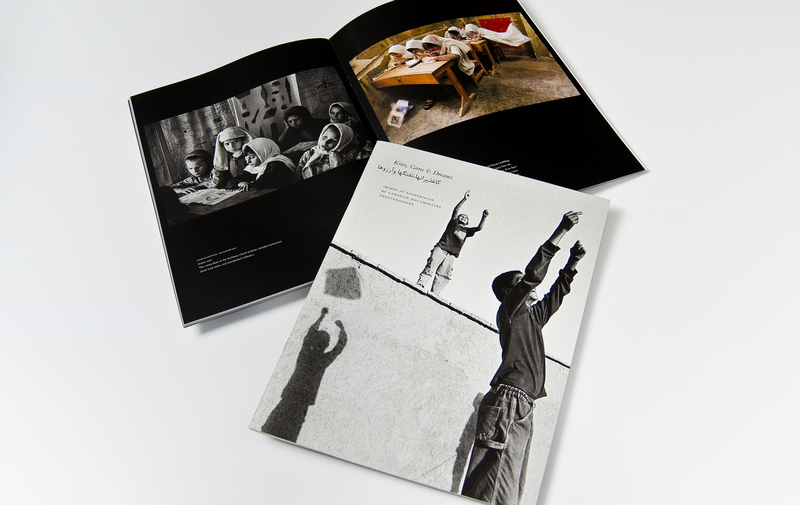 The design challenge with Kites, Guns & Dreams was to showcase the four photographers’ images and help convey their stories in a respectful and dignified manner. The design had to be “invisible” to allow the photos to speak for themselves in a neutral environment—allowing readers to develop their own conclusions and opinions.